The following is a testimonial from a physical education teacher at the Academy of World Languages, a school participating in Cincinnati Ballet’s Education & Outreach program CincyDance! which brings dance instruction into over 35 Greater Cincinnati schools, and provides scholarship opportunities for those most talented students thanks to the generosity of organizations like the Cincinnati International Wine Festival. Three years ago, Julie Sunderland, from the Cincinnati Ballet, contacted me to ask if my school would be interested in the Cincy Dance Program. Being a Physical Education teacher and knowing how dance is an important developmental piece of a good curriculum, as well as a State requirement, I welcomed the opportunity. Little did I know the other benefits that would come along as well. As I observed student’s as they followed the movements of the talented dance instructor, I noticed that some of my students that were not necessarily able to perform activities related to sports, seemed to sparkle with delight when they moved to the rhythm of the music. Smiles adorned their faces and made my heart melt to see how happy they were while dancing. Little did they know that some of them would be chosen to take free lessons at Cincinnati Ballet’s Otto M. Budig Academy. Not only did these students find a new passion, they became more disciplined and began to display improved behavior in all of their classes. This program exposed them to something they may have never known existed. Last year, our grade class was invited to participate in one of the most delightful and educational dance experiences of my lifetime, much less my third grade students. Under the direction of Julie Sunderland, we learned a dance that many other schools in the Cincinnati area were also learning; what transpired was quite unbelievable. It turned out to be a large scale flash mob at a centrally located park in downtown Cincinnati. The students were given T-shirts, boxed lunches, and a bus ride and after having a picnic with teachers from our schools, the students stood up and began their part in the “Happy Dance!” And what a happy dance it was! The students had a wonderful experience and felt so proud of themselves. 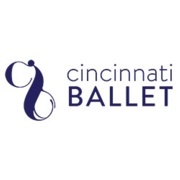 This program wouldn’t be successful without Cincinnati Ballet and the generous contributions from organization like the Cincinnati International Wine Festival. Our students have been blessed to have this program available to them.